Are you ready to celebrate Cinco de Mayo and Mexican culture on May 5th? If you are planning a Mexican soiree or a fun Cinco de Mayo party with your friends, here are my 12 ideas to make your night a success. I created my Cinco de Mayo menu with fresh ingredients and infused the party and even the dessert with Sauza tequila, who sponsored this Cinco de Mayo post. 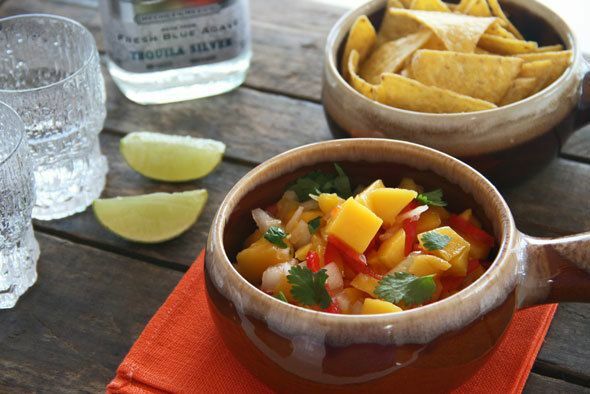 Give your salsa a new twist and give mango salsa a try this mango salsa recipe, perfect for your Cinco de Mayo party. 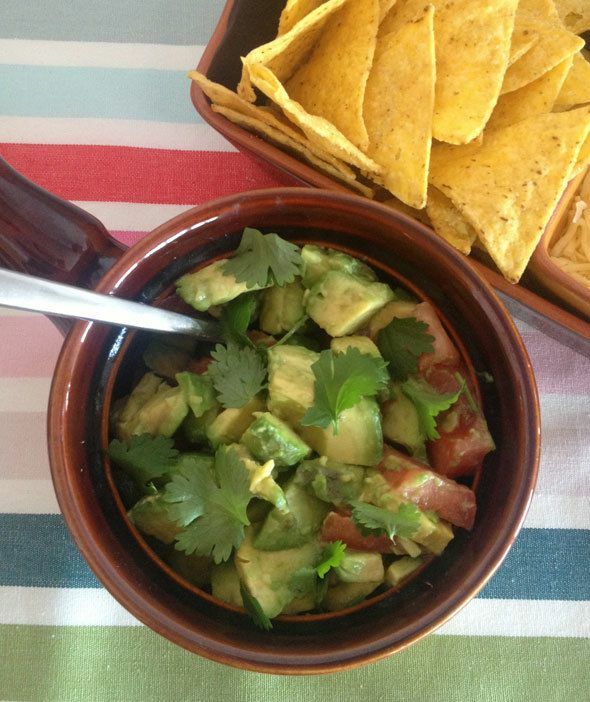 You can’t go wrong with guacamole. The best tip: never buy ready made stuff, nor those spice packages, but always make your guacamole from scratch. Guacamole recipe really is easy: 2-3 avocados, chopped onion and a tomato, minced garlic and half of jalapeno, fresh lime juice and cilantro, salt to the taste. I know what you are thinking… soup doesn’t sound like a springtime food, but this chicken soup is perfect party food that you can make the previous day and it just tastes the better the next day. Try my Southwestern Tortilla soup recipe and stay tuned for my chicken soup recipe. My easy Margarita lime cheese cake is no-bake cheese cake, which you can also make already the day before. Fresh limes and tequila give this easy cheese cake a new twist. 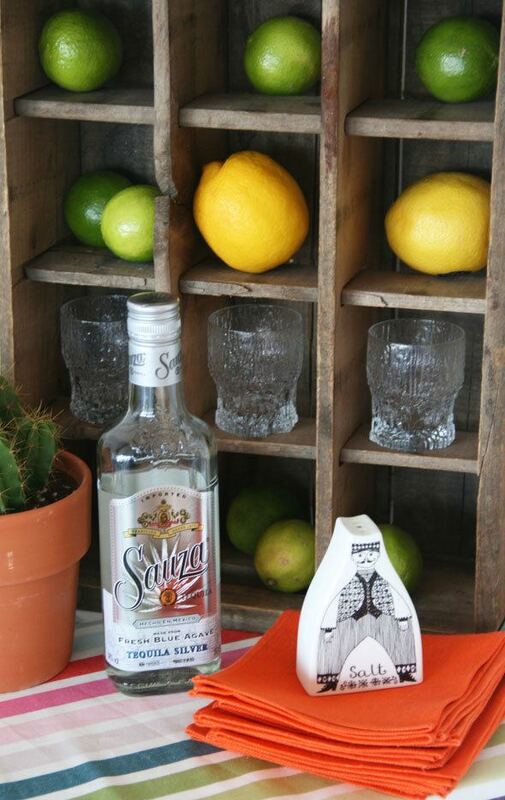 As simple as it can be – add a self-serve tequila shot bar with shot glasses, lemons and salt. Even if you are not expecting a wild drinking party adding a tequila shot bar is a simple way to decorate. I turned an old soda bottle crate sideways and used it as the shelves. Instead of being a bartender and making individual margaritas, mix a pitcher of Sauza-Ritas, a mixture of light beer and tequila is perfect for any kind of party crowd. Make a pitcher of Lime Sangria for refreshing dinner drink. 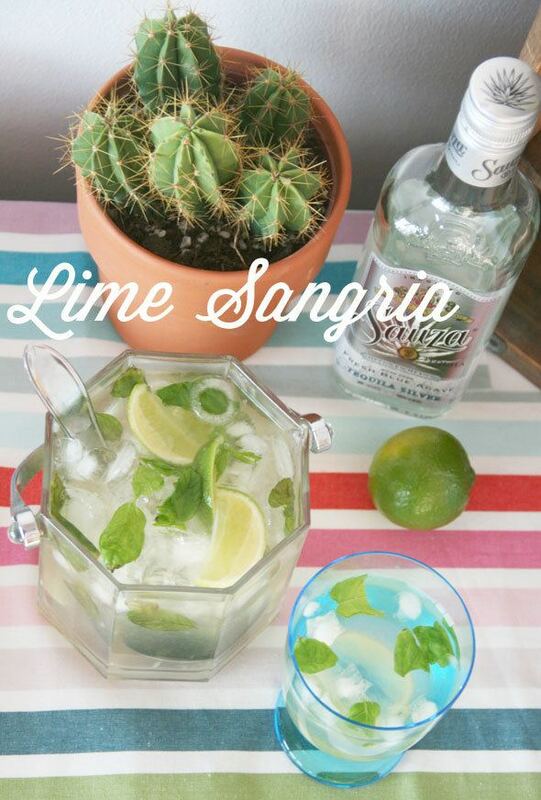 Get the Lime Sangria and Sauza-Rita recipes here. Instead of buying cut flowers that only last a week or two, buy cactus plants and use them in your party table center pieces and party decor. If you are lucky – you will use these same decorations next year too and enjoy them the entire year around. Bowl of limes and lemons is an easy and fast centerpiece idea. The best? You can eat them after the party. Give your party piñata a little more personality than just buying one from the party supply store, and make one yourself. Use a medium-sized cardboard box and decoupage it with colorful napkins or silk paper. 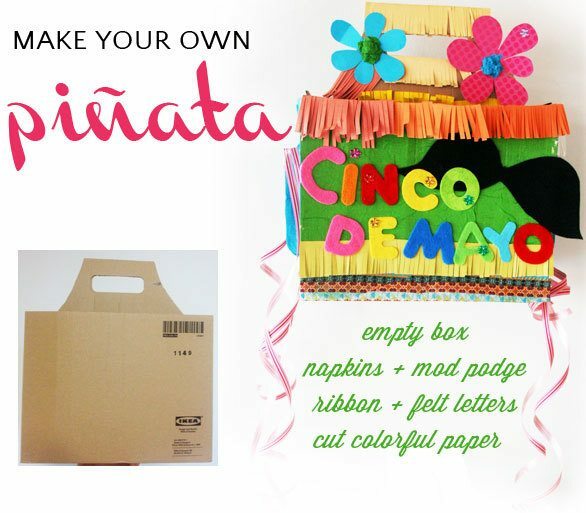 Make your piñata to match your party decor by decoupaging it with the same napkins as you will use in your party table if you are using paper napkins. We used a glass carrying crate from IKEA in our homemade piñata and added Cinco de Mayo text with felt letters on the side. The carrying case needed a top, but already had a handle for easy hanging. When we think of Mexican fabrics, we immediately think of the striped Serapes in the colors of the rainbow. If you have a Serape blanket, now is the time to hang it up on your wall for your party. If not, no worries. 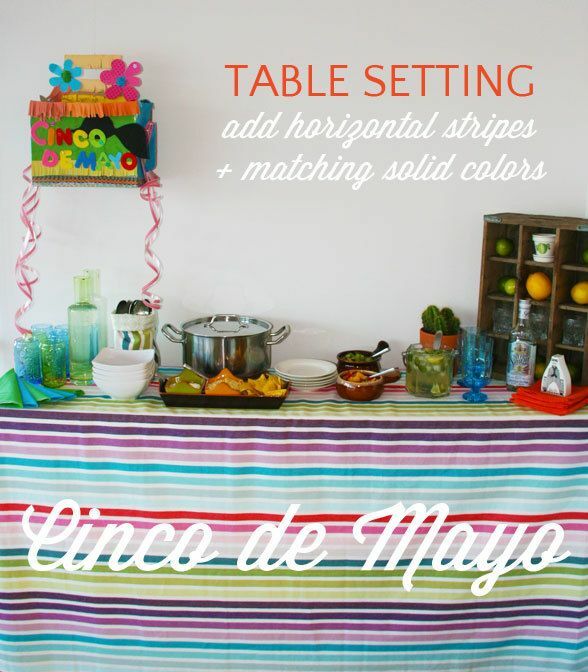 Use almost any multi-colored striped fabric horizontally. The horizontal stripes immediately give the Serape vibe. Washed out soup cans work perfectly as party flower vases or for utensils. You can also paint the soup cans or decoupage them with paper. This time I wrapped the cans with matching striped fabric to complete the party table look. This post is sponsored by Sauza Tequila. 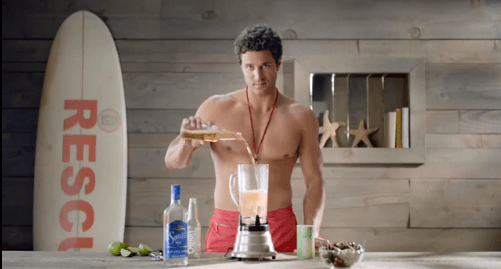 Have you met the Sauza lifeguard…? He’s equally talented in the saving of lives and the ways of love. And best of all? He’s ready to pour you a Sauza-rita, and listen as you pour out your feelings. This perfect man is perfectly prepared to help make your ladies night unforgettably fun – with Sauza Blue, of course. Check us out at http://facebook.com/SauzaMargaritas. 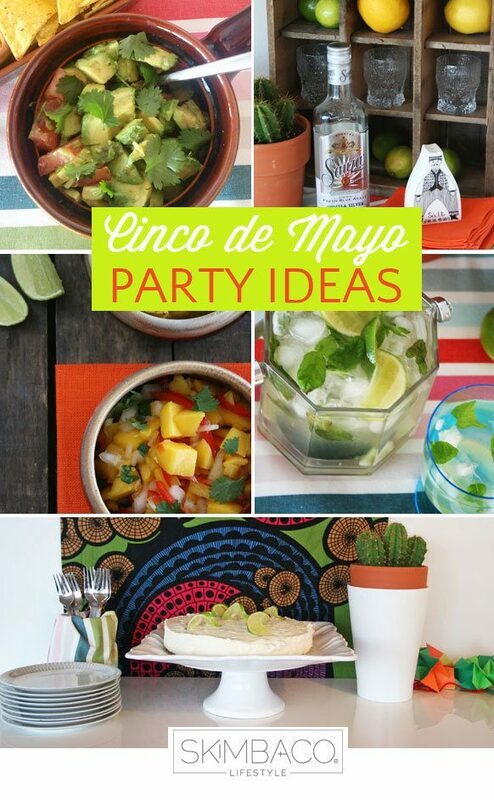 LOVE all of these ideas and even though I just made guacamole this morning I now want more.